The shared office or virtual office service is an ideal choice for operating your business from distance by using a representative address for the business. – Receiving mail, parcels at the office. – Free lounge or waiting-room. – Free internet, wifi, drinks. – Free private desk for 2 hours/ month. 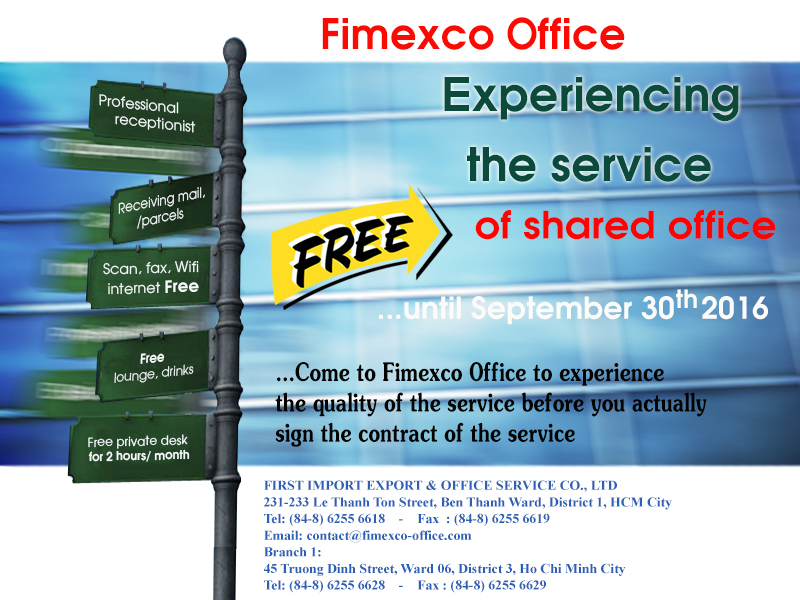 Furthermore, there are many other preferential services which Fimexco Office will offer to customers on the occasion of the National Day – September 2nd . For more detailed information, please contact Fimexco Office. Note: Not applied for the service of publishing the name and address of customer’s company on the board of the building (only applied to official contracts).